We have a good one today all. I found this space over on Simply Smitten, and I am so glad I did. It's quite the looker, right? Anyone else see this too? 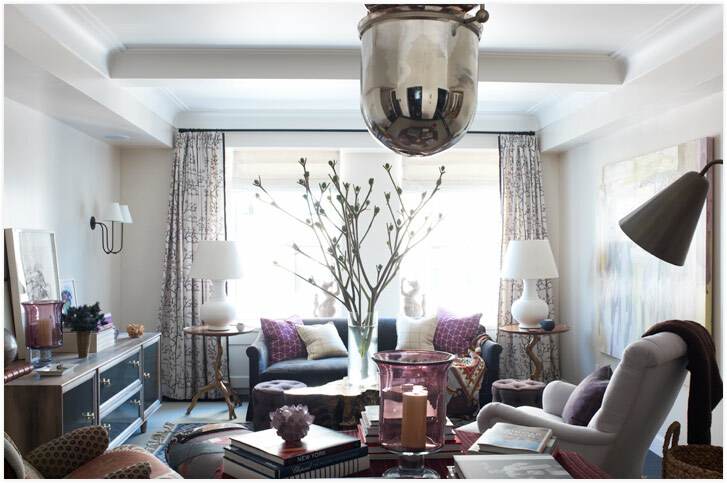 Carrier and Company teamed with Town & Country magazine for the Hearst Designer Visions Showhouse in New York, and this is the result. Wow. This angle of the room is show-stopping. You can truly see the scale of everything and how all the pieces relate to one another. An overview, if you will. 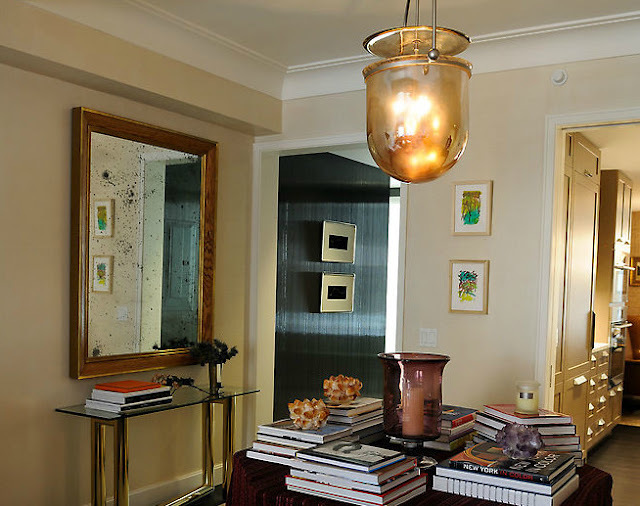 The artwork by Leah Durner (throughout the house) just makes such a spectacular statement. Layered art. LOVE this trick. Another thing I love...the heavy usage of all the crystals in the space. If you look closely they are tucked in everywhere. A nice little bit of natural sparkle is never a bad thing. Oh, and check out that fabulous aged mirror. New and perfect is over-rated. 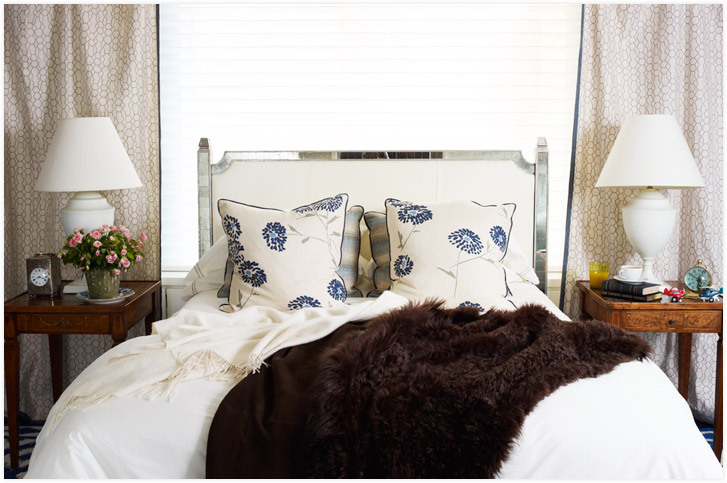 Comfy layered bed with fur throw. Totally want to get a fur throw for my bedroom, in cream please. The chairs and (again) the Leah Durner artwork do it for me at this angle. 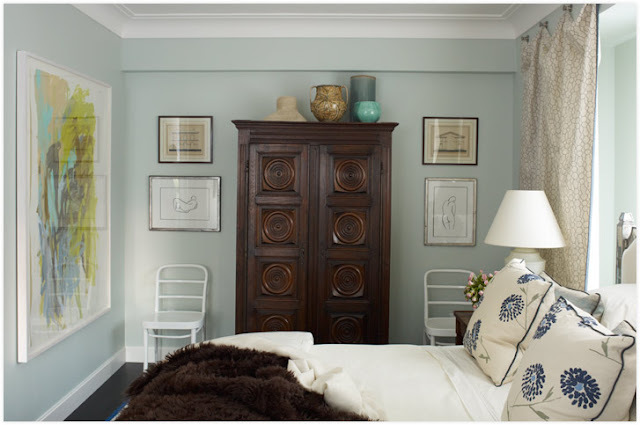 Notice how the pottery on top of the armoire reflects the color palate in the artwork. Really nice. Told you it was good stuff. Oh, and just so you know. We are finally fully functional over here. The drainage has commenced and our "facilities" are operational once again. Halle-freaking-lujah! I NEVER want to go without indoor plumbing again. Nature ain't all it's cracked up to be. No joke! Wow, wow and WOW! 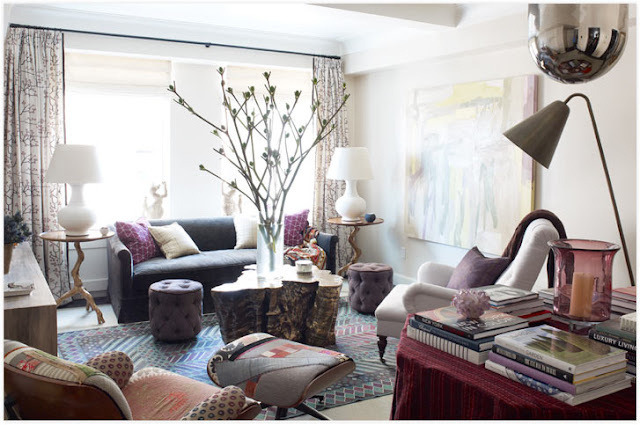 I love "Showhouse Season" - so many great ideas, and so cool to see what designers do with fewer limitations on their creativity. Will forward this on to a friend who collects crystals - like how they are tucked in everywhere. Love it! That coffee table is crazy good. 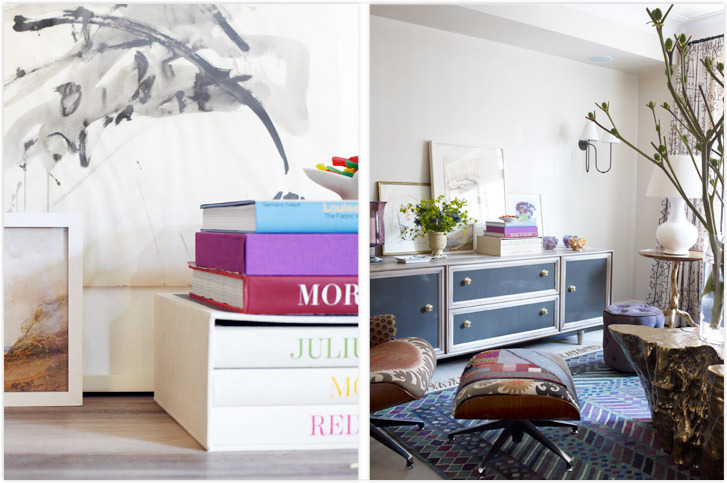 And do I spy a suzani-upholstered eames lounge chair? Bold! Is that a reupholstered Eames lounge chair? Wow that is sooo so gorgeous! And there's MAUVE, which I am not a fan of, and it totally is beautiful! I love those sparkly geodes. I gotta find me some of those at a reasonable price!! This is truly gorgeous. Every piece works so well in the whole to create a cohesive, but visually interesting look. So many great details, but still serene and not over decorated. Love it!